Mary’s first job (after just one month’s training?!) is as a paid companion to spoilt Angelica Thorold, the daughter of Henry Thorold, suspected of financial crimes, and Mrs Thorold, an invalid. She is to listen out for any news on illegal businesses that Thorold and his secretary Gray, who lives at the house, may discuss. At a party, she meets James Easton, the younger brother of one of Henry Thorold’s potential investors, who is also investigating Thorold for his own reasons. And they agree to cooperate with each other (she gives him some pretense about looking for a maid who was made pregnant by Thorold) and of course there’s some potential love interest happening here. The first couple of chapters of the book move fast. Perhaps too fast. We barrel our way from the gallows to joining the academy and then next thing we know, she is 17 and joining the Agency (all in the first 9% of the book – I was reading a library e-book so I don’t have page numbers). I would’ve loved to read a little about life at the school or her training before joining the Agency, or perhaps learn more about Anne, who seems very flat at the moment. The pace slows down (at least when compared to the light speed of the first couple of chapters) when we get to her first assignment but it’s not a very exciting job. Mrs Thorold spends her time visiting doctors, Angelica seems to mostly mope around at home. So Mary takes matters into her own hands, and sneaks into Thorold’s warehouse to snoop around, getting herself into all sorts of near misses and scrapes. Yeah so she does some silly things, maybe it’s because of a shortened training stint?? “Only half English…” Angelica twisted her mouth in distaste. It’s not all that hard to guess where Lee is going with this, but I will leave it to you to figure it out or read the book. I’m curious to see how the second book in the series goes. Hopefully there will be more details about the Agency itself. I wasn’t expecting to be able to read a mystery/Victorian novel (a series no less) that fits the Global Women of Colour challenge, but here it is, my ninth read for the Challenge (challenge page). Y.S. 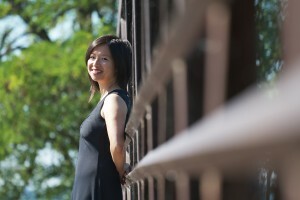 Lee was born in Singapore and raised in Vancouver and Toronto. In 2004, she completed her PhD in Victorian literature and culture. This research, combined with her time living in London, triggered an idea for a story about a women’s detective agency. 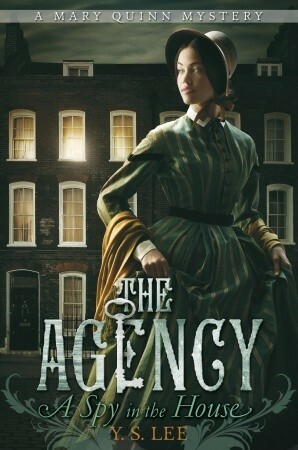 The result was the Agency novels, featuring the intrepid Mary Quinn. Ying is also the author of Masculinity and the English Working Class (Routledge). She now lives in Kingston, Ontario with her family. Interesting. A book I want to read. Does the author’s chose to use her background in any way? Or the book in her bibliography also set in Victorian England.